Each of the queuing methods discussed so far make a best effort to forward traffic of a certain priority. These queuing methods also have rather static configuration capabilities. WFQ enables you to control only the size and number of the queues and does not allow for much customization, whic h might be quite a problem if you must sort multiple traffic. PQ enables you to configure only four queues and the number of packets allowed in those queues. PQ also has one major drawback: fower-priority queues might not receive enough attention; and, in somn case s, depending o n the amount of high-priority traffic, they might not receive any attention at all. Custom Queoi ng (CQf worIc) aCou Nd many of these issues with its highly customizable configuration properties. • Ingre ss intertace (the interface that they were received by). • An access list, CQ supports all major protocols including IP, IPX, AppleTalk, and SNA protocols and their access lists. • Packet size, either greater or less than a specified size. 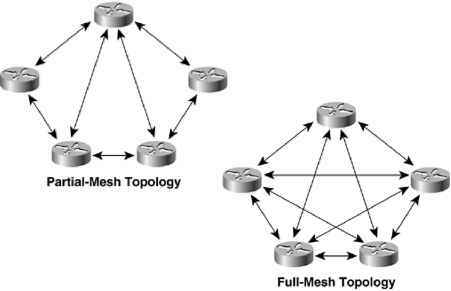 • Or specific protocol characteristic defined either by an address, port number, or Cisco IOS Software parameter. InFiqure 6-7, for example, you can see that there are six queues. Queue 1 has been allocated to use 50 percent of the available interface bandwidth. Queue 2 is allocated 20 percent of thn bandwidth. Queue 3 is allocated 12 percent; Queue 4, 5 percent; Queue 5, 3 percent; and Queun 6 is pllotted the rema ining c0 percent of th e bandwidth The linq with the arrow indica tes the orded in which the queues are servicede Each queu e ib emptied, to its byte or pac kit li mi t, and then the next queue is service d. With t hiu que uing scheme, aftec Queue h has transmitted all of its packets, Quaue s 2, 3, 4o 5t and 6 a re aerviced in that ohder. Whi i e the other qu eues were beinp serviced, new pac kets arnved in mo st of tce queues, as s rown in F iqure 6-8 . Again, each of the queu es is serviced unIil th eir allocated lii^f ri|s a we rnachedI an d then t he next qu eue is Smptied to its i lmit. If one of the queues does not contair any packeto, as is the case with Queue 4, it is skipped. After a queue's packet or byte size limitation is met, any new packets destined for that queue are dropped.